The equipment is fully made in stainless steel. Many of them possess the CE certification. There are manual and automatic machines in a beautiful finishing and detailing that make an outstanding preparation. Regarding the edible supplies, we have mix for ‘porras’, ‘churros de lazo’, ‘filled churros’, chocolate, etc. 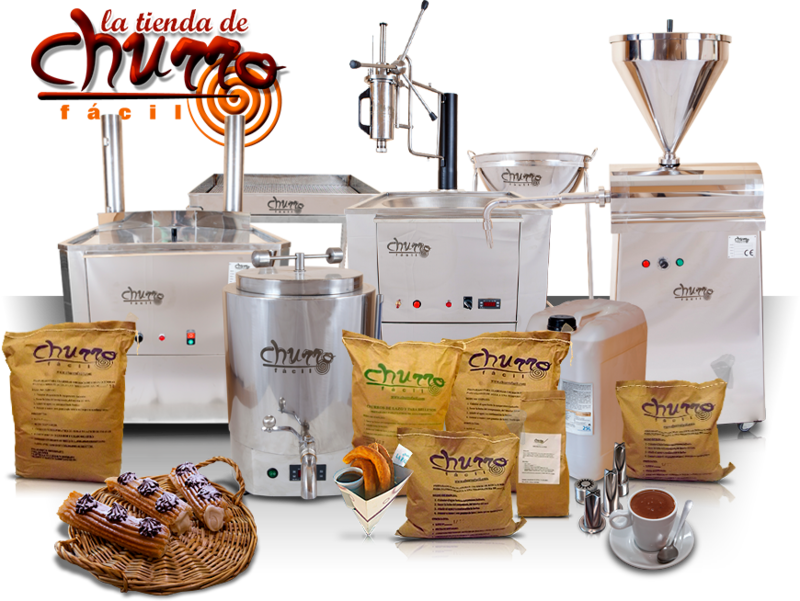 Delicious churros and chocolate will be always at your disposal. Visit our ON-LINE store and within 24/48 hours you could enjoy the products where you want to (at your facility or at home). Do not hesitate in asking any questions that may arise. We will gladly advise you about your already existing business or a new one where, furthermore, we will provide you with the training.